While some people enjoy commitments, others actual prefer casual dating. 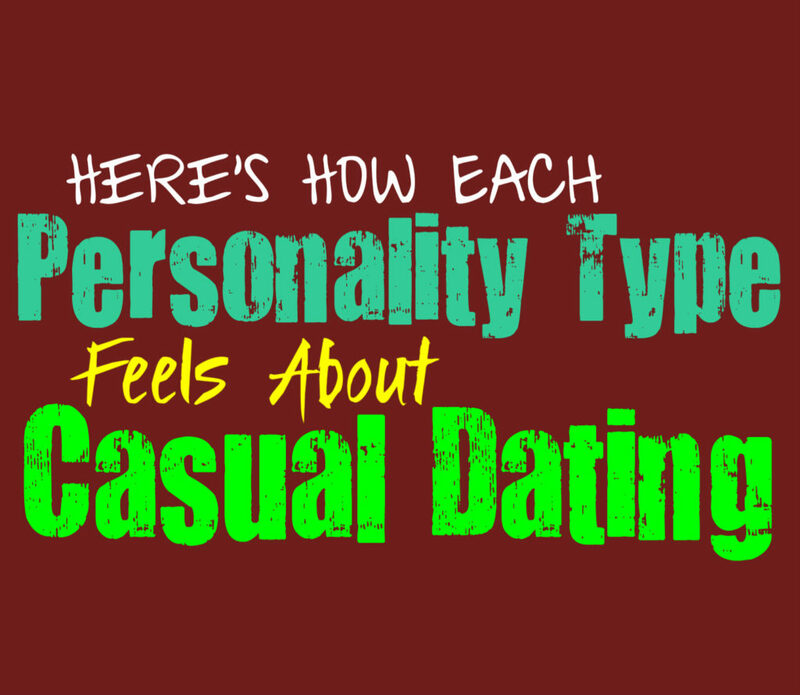 Here is how each personality type feels about casual dating. INFJs are not usually fans of casual dating, and prefer to take these things more seriously. They certainly know how to have fun, but they aren’t the type of people to enjoy casual relationships. INFJs want their connections to be meaningful, and truly dislike wasting their time on anything that won’t last. They might dislike dating in general, since it is often shallow and disconnected. They want to bond with people who naturally make them at ease, and don’t let most people in very easily. Casual dating is rarely something that the INFJ enjoys, even though they might try it for a short time. Ultimately, they want to find someone who they can be themselves with, and dislike shallow relationships. ENFJs prefer to take things in life seriously, and dislike shallow connections. Casual dating is something they will likely try at some point in their lives, but dislike it very much. ENFJs prefer to share meaningful bonds with people, and don’t want to waste their energy dating someone they don’t see a future with. ENFJs take their commitments seriously, and enjoy being able to truly bond with someone. They care for their loved ones, and value being able to feel comfortable with them. When it comes to casual dating ENFJs can become bored and a bit uncomfortable with the situation. INFPs are generally not interested in casual dating, or doing anything casually really. They only want meaningful and real connections in their lives, especially their romantic lives. INFPs enjoy new experiences, but ultimately the shallow feeling of dating casually just bothers and exhausts them. INFPs don’t want to waste their energy with someone they don’t feel comfortable and connected with, and will avoid those sort of encounters. INFPs can become quickly drained by shallow connections, which makes them rather turned off by casual dating. ENFPs enjoy experiencing new things, so they might take part in some form of casual dating. They enjoy being able to open themselves up to possibilities and hate staying stagnant for too long. ENFPs will likely try casual dating, and might enjoy certain elements of being adventurous. Ultimately, casual relationships aren’t really enjoy for ENFPs, especially on a long term basis. They want to feel truly connected to people, and crave sharing a deep and meaningful bond. ENFPs value their relationships, and deep down they are just searching for someone who loves and understands them for who they really are. INTJs are generally not fans of casual dating, and might find it to be a bit exhausting. They likely take part it in at one point in their lives, only to discover that it does not bring them joy. INTJs become exhausted by the presence of most people, and prefer to only associate themselves with the ones who they can truly connect with. INTJs don’t want to waste time on people who they cannot truly bond with, and want to make meaningful connections. INTJs dislike anything fake or insincere, which makes them easily drained by shallow relationships. They would choose being alone before they would decide to date someone who does not fit with them. ENTJs enjoy experiencing new things, but rarely do they find interest in casual dating. They will likely date casually when they are younger, just to figure out what they want and enjoy. The ENTJ will quickly become bored of dating casually, since they don’t like wasting their time. They value loyalty, and only want to make connections that are going to last. ENTJs despise flighty people, and prefer individuals who are reliable and steadfast. They enjoy things that bring them true value and meaning in their lives, so they will often tire of casual dating. INTPs are generally not fans of casual dating, and might find it to be exhausting. They dislike social encounters that don’t bring them any value, and become drained by anything shallow. INTPs often prefer to be on their own, and find themselves easily exhausted by people they cannot connect with. They often value relationships that are lasting and meaningful, and dislike anything shallow or casual. INTPs would much rather be single than waste their time with someone who isn’t right for them. They aren’t afraid of being alone, so casual dating usually feels wrong for them. ENTPs enjoy exploring the many possibilities that the world has to offer. Because of their curious nature ENTPs will often attempt casual dating for a while. They enjoy pushing their boundaries in order to discover what they truly want out of life and relationships. ENTPs see everything as an opportunity to learn and grow, and will be the same with their dating experience. While ENTPs will certainly attempt casual dating, eventually they will find it to be a waste of their time. They want to feel connected, and enjoy being able to be with someone who challenges them to grow. ISTJs dislike anything shallow and often hate the experience of casual dating. They want to be with someone who brings something positive to their life, or they would prefer to be alone. ISTJs take their commitments seriously, and value loyalty in their relationships. Casual dating is often draining and extremely unpleasant for ISTJs, it often feels like a waste of their time and energy. ISTJs are focused and serious people, who want to move towards the future with everything in their lives. ESTJs are loyal and dependable people, who rarely enjoy casual dating. They might experience when they are younger, especially if it helps them to fit in to their surroundings. While the ESTJ might test out some casual dating, they will likely tire of it. They truly want to find someone to connect with and share a meaningful commitment with. ESTJs value their relationships deeply, and want to be with someone who is loyal and sincere. ISFJs are caring and committed people, who value planning for their future. They don’t enjoy casual dating, and honestly hate relationships that don’t have commitment. They want to find someone who they can spend their lives with, otherwise it is a complete waste for them. ISFJs don’t enjoy casual lifestyles, especially when it comes to their love lives. They want to share meaningful and lasting connections with people, and don’t enjoy wasting their time on something that is not going anywhere serious. ESFJs sincerely dislike casual dating, and don’t want to be with someone who isn’t serious about them. They value commitment, and want to find someone to share their lives with. Their relationships are extremely important to them, and they care deeply about the people in their lives. ESFJs don’t enjoy casual flings, and might find dating to be a bit exhausting. They only want to be with someone who is loyal and committed, and won’t waste their time on something casual. ISTPs are adventurous people, who enjoy experiencing new things. They often enjoy casual dating, since it doesn’t weigh them down too much. Commitment can be difficult for ISTPs, since people can be a bit demanding in relationships. They enjoy having their own space and freedom in life, which makes the ISTP enjoy being single. Casual dating allows them to have fun and live in the present moment, while being able to have company when they want. ESTPs actually enjoy casual dating, since it allows them to live in the moment. They enjoy being able to have fun, and want life to be an adventure. Dating can be a fun and exciting thing for ESTPs, and allows them to meet new people. They enjoy being able to socialize and try new things, which makes dating more fun for them than it does for some other types. ESTPs can sometimes fear commitment, and dislike being held back by anyone, which makes relationships somewhat unnerving for them. ISFPs don’t mind dating, since they enjoy living in the moment. They want life to be fun, and enjoy being able to experience new things. ISFPs will date as a way to learn about people, and figure out what they want in a relationship. They don’t enjoy the casual aspect of it, but they don’t want to rush into anything serious without being sure. ISFPs are often searching for a real and meaningful bond with someone, but they aren’t afraid to wait for it. ESFPs often enjoy casual dating, since they want life to be fun and exciting. Meeting new people is a nice experience for ESFPs, since they love socializing. Dating is often a great way to spread their wings and figure out what and who they like. ESFPs can sometimes dislike commitment, because it holds them back from doing what they want. They don’t want to be around controlling individuals, and would much rather be single than be trapped.